I bought this 1972 Holden Monaro in 1995 with an interesting history that included being modified ever since it was new. When new, this car was bought from Manthel Motors in Lower Hutt, Wellington, NZ where my Dad worked at the time! It still has the Manthel Motors sticker on the back window from new. 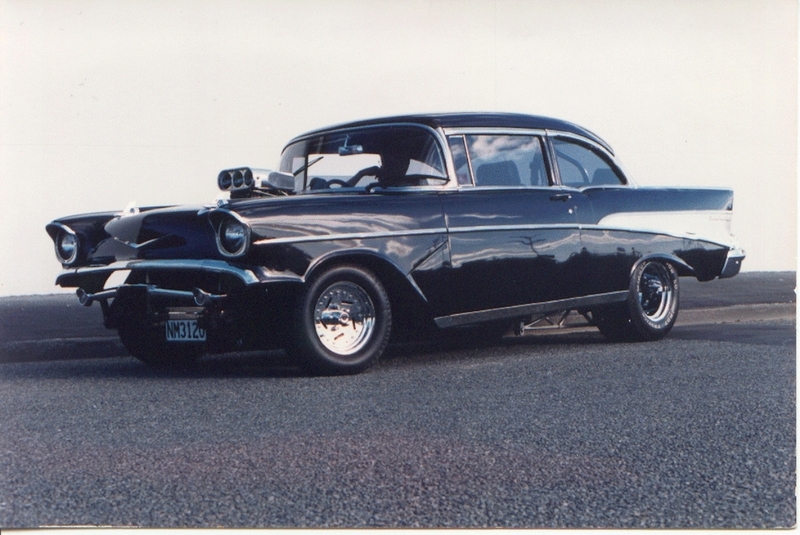 My stock 1957 Chevrolet is a 4-door 210 sedan which was imported to New Zealand from California in May 2005. The mighty 235 cu. in. Blue Flame Six motor was still there after over 50 years. Ol’ Bluey has the one piece bumpers unique to Southern California cars and features the original colours that match the factory trim tag - India Ivory over Larkspur Blue.